Waste is more than just what people throw in the bin. Air-borne emissions and liquid wastes corrupt water supplies, and the complex waste streams produced by industry can have toxic impacts on the environment. Waste Management is concerned with the management of various waste streams. This specialisation focuses on waste avoidance and minimization, discussing best environmental practice and providing the tools for sound decision-making at the design and implementation phases of waste management projects. Students with an undergraduate degree in another discipline geared towards investigative and management skills as part of an engineering education, or those wanting to develop theoretical and practical skills for working in environmental control authorities, industry and elsewhere. Graduates of this stream can expect to find employment in environmental control authorities, urban and industrial workplaces, local government, education, and consultancy. 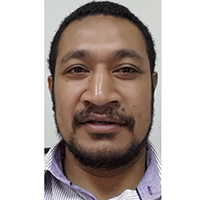 "I was promoted to Manager of the Waste Management Division immediately upon my return to Papua New Guinea because of the successful completion of my studies. Since I did a specialist course in Waste Management, the decision to appoint me was easily taken by management."